Travelling can be really scary and kind of stressful, depending on where you’re flying to, especially foreign countries. It is common for people to make advance bookings for hotels and follow a strict itinerary. However, some people are a little bit more spontaneous when it comes to travel plans and like to deal with things at the last minute. 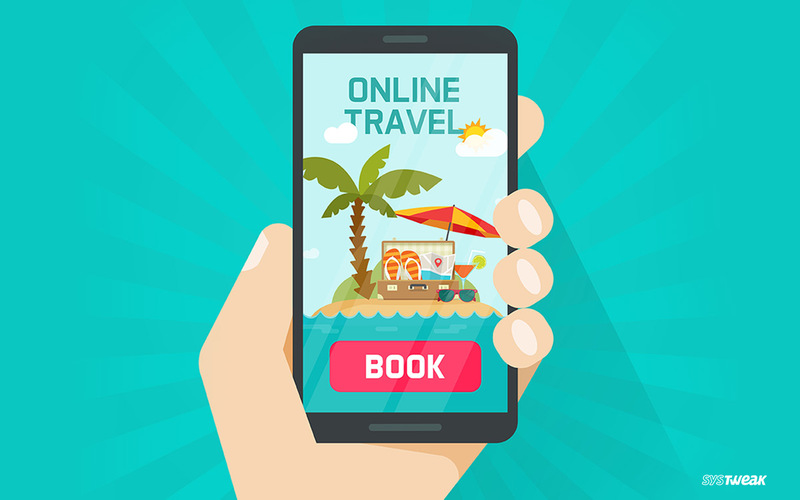 Thankfully, there are plenty of hotel booking apps that bring the world to your fingertips and makes finding and booking a hotel both convenient & effortless. What if you could find mobile exclusive deals, making it easy to book your perfect hotel anywhere, anytime? Where you could sort hotel listings by price, star rating, and location. One Night is on top of the list of hotel-booking apps available. It is an app that allows you to do last minute hotel booking at an unbeatable rate. It has a feature where the app timeline displays you insider tips every hour to give you amazing experience of hotel and the city as well. Insider tips like best wall art around the corner, place to visit nearby, or to today’s special drink at the bar. This app is available for both Android & iOS devices. One Night starts its check-in time from 3 PM. So, you can make your bookings on the same day. This app is available for both Android & iOS devices. Now you can book your hotels more smartly with the HotelQuickly app. With more than 20,000 hotels to book at the lowest prices available. Earlier, HotelQuickly focused on the Asia-Pacific region. But now, this app is globally available for all the travelers in more than 15 major countries. This app comes in 8 languages and has a 24/7 customer support, for any inconvenience. You can also get additional discounts by referring your personal invitation code to your friends and relatives. It has tier system in which you get additional discount by becoming the silver, gold, and platinum member, which depends on how many times you have booked the hotel through the app in a year. It is easier to get a room at short notice with this app. For checking-in on the same night, you can still book hotel at a last minute on the app. This app is available for both Android & iOS devices. This is a must have app for frequent travelers. It was specially made for the last-minute travelers, who just want to make the last-minute hotel bookings. With the best rates & everyday deals from the top-rated luxury hotels, book yourself a room in just a few clicks. HotelTonight is affiliated with 15,000 hotels in more than over 35 countries across Europe, North America & Australia. You can book a hotel up to 100 days in advance at some specific locations. This app is available for both Android & iOS devices. This is the best money-saving app for travelers. Priceline can book hotels super quickly. There are every day exclusive deals available on the app. In addition, with hotels, you can also rent cars and book flights on discounted price. It offers up to 40% off on selected hotels. There is a feature in app called Express Deals, that allows you to book a hotel nearby in a very few steps. This app is available for both Android & iOS devices. Expedia is the complete package for anyone who is travelling. It allows last minute hotel booking from the app. Not only hotels, you can also book flights and grab a car on rent from Expedia. There is no cancellation fee to change or cancel any hotel booking or reservation made from the app. Expedia provides an additional discount of 30% on hotel bookings, if the booking has been made through the Expedia app. This app is available for both Android & iOS devices. Now with Orbitz app, discover a home away from home. This app allows you to sort and book hotels by deals, ratings, price, and more. Not only hotels, you can even grab a ride on rent & can also book flights from the app. You can save up to 40% on mobile exclusive hotel deals on booking your hotel from the application. You can make the last-minute hotel booking, with free cancellation. It has simple & secure booking process with 24/7 customer support available. Once your check-in into the hotel, you can also book local tours to explore the city well from within the app. Now find a great deal with Booking.com. With over 1.5 million properties across the globe, Booking.com allows you to manage your bookings on the go. Booking.com allows travelers to not only book hotels, it also allows travelers to book apartments, vacation houses, tree houses, and even igloos. You can search and sort a hotel by attraction, landmark or by price in just a few clicks. Booking.com provides 24/7 customer support in more than 40 languages for the great experience. It also allows you to refer the invitation code to friends and family that helps in earning additional discounts. This app is available for both Android and iOS devices. This app allows you to plan, book, and manage your stays when away from home. It has the most simple, fast and secure process to book hotel at last minute. If you have already booked 10 nights from the app, as a reward, it will make your 11th night stay free, which means no taxes and fees. There is a feature ‘Tonight’s Local Deal’, where you can get exclusive deals in the area you are travelling. You can even save and compare the list of your favorite hotels. This app is available for both Android and iOS devices. Kayak is an application where it searches among hundreds of platforms for hotels and displays the list of last minute booking hotels available at the lowest prices. It is also a complete package where you can book your hotel & flights, rent a car, or plan a trip. The one in all combination of planning, booking, and travelling. Kayak is an individual subsidiary of the Booking Holdings Inc., who is a world leader in travels and tours. This app is available for both Android and iOS devices. Trivago, is a hotel booking app, which is the best way to book a hotel at a very last minute. It has an advanced feature filter where it analyzes more than 700 thousand offers present online. Out of which you can compare and find rooms of your choice based on the price, locality, and availability. It also provides you with the special additional discounts at some of the locations. This is the best money saving app for last minute hotel booking. This app is available for both Android & iOS users. So, this was all folks! This was the list of 10 Hotel Booking Apps In 2019. Now you can download and install the apps given above and you are all set to make a last-minute hotel booking from your phone. Stay safe and happy journey to all! Why Adoption Of Wellness Apps And Telemedicines Have A Long Way To Go?